Attorney and author Marcia Clark co-writes and executive produces a new legal drama about Maya Travis, an L.A. district attorney who suffers a devastating defeat when prosecuting an A-list actor for double murder. With her high-profile career derailed, she flees for a quieter life in Washington. Eight years later when this same celebrity is under suspicion for another murder, Maya Travis is lured back to the DA's office for another chance at justice. This legal thriller is executive produced/co-written by Clark, Liz Craft and Sarah Fain, and is from Mandeville TV and ABC Studios. Watch The Fix official trailer below and don't miss the premiere MONDAY MARCH 18 10|9c on ABC! The Fix stars Robin Tunney as Maya Travis, Adam Rayner as Matthew Collier, Merrin Dungey as CJ, Breckin Meyer as Alan Wiest, Marc Blucas as Riv, Mouzam Makkar as Loni Kampoor, Alex Saxon as Gabriel Johnson, with Scott Cohen as Ezra Wolf and Adewale Akinnouye-Agbaje as Sevvy Johnson. 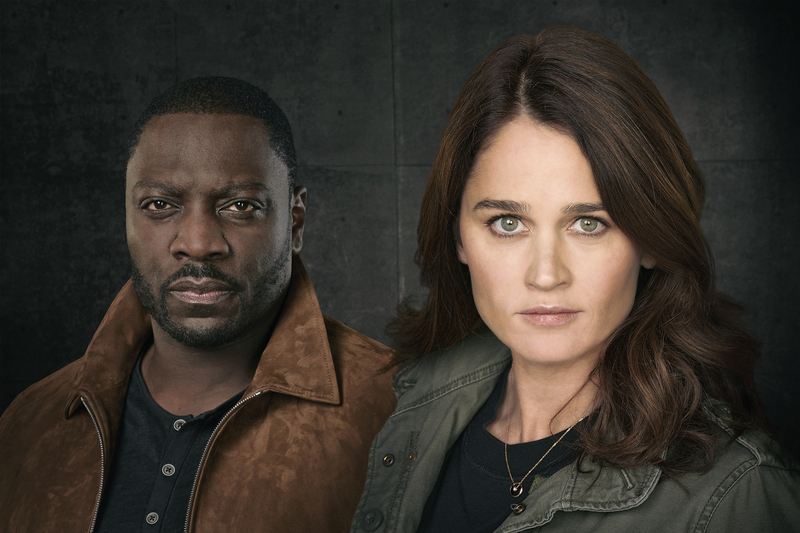 THE FIX - ABC's The Fix stars Adewale Akinnuoye-Agbaje as Sevvy Johnson, and Robin Tunney as Maya Travis. (ABC/Ed Herrera) © 2018 American Broadcasting Companies, Inc. All rights reserved.